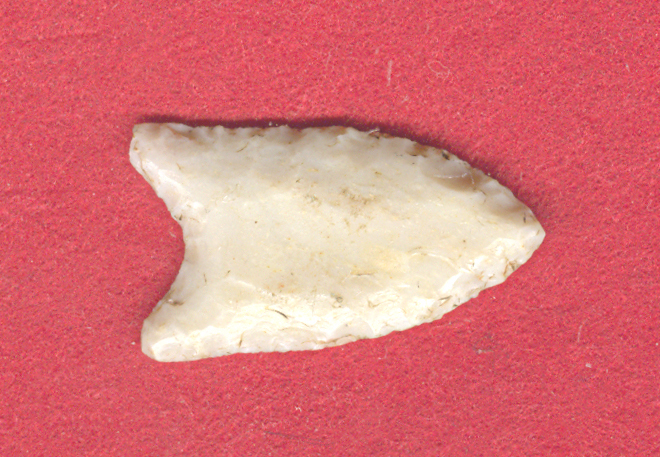 Normal Size, Rare, Colorful, Anciently Aged And Visibly Use Sharpened, Very Well Made Barnes Style Fluted Point That Exhibits Surface Sheen And Overall Patination, Deep Aged Stained Hinges, Correct Rolled Basal Stem Edge Hafting Dulling, Aged Surface Deposits, Correct Extended Basal Fluting, Correct Material And Manufacture For The Area Found. Found By Jeff Christian North Of Ponca, Arkansas Near The Buffalo River. The Last Use Resulted In A Slightly Rounded Polished Tip! Purchased From The Finder By Ken Partain. Includes A Ken Partain Certificate Of Authenticity!